A couple of years ago, I started noticing a trend among my clients and colleagues. Writing requests were coming in at the last minute (even more than usual). Creative briefs were becoming rarer, and when they did exist, were vague. And strategy was taking a back seat to simply putting content out there. The downsides were clear … Everyone was harried. And without a guiding strategy, we were all losing sight of our audiences’ needs, which was not helping our marketing goals. Despite wanting to produce content that benefited the audience, everyone was producing … well, just content. It’s easy to fall into this trap. When you’re producing something — anything — you feel productive. But that’s not the same thing as producing effective content. That requires a plan. Here are a few things to keep in mind about content planning. Devising your organization’s marketing plan requires strategic chops and creativity to be sure. You need to understand your product inside and out, and your audience, too. But a typical marketing plan doesn’t delineate execution. And that means, months later, when you’re staring “Q3 video” in the face on your spreadsheet, you have to invest a great deal of effort once again. Marketing team members have so much on their plates that when it’s time to produce a white paper or a blog post or the next podcast episode, they struggle. Even top creatives have a hard time coming up with fresh ideas and great content when they’re constantly in a time crunch. They need something to bridge the gap between the overall marketing plan and the creative executive. That’s where the content plan comes in. When we create our content plans, we spell out the content mission, goals and main messages. Then, we move into the creative — detailing blog post ideas, article descriptions and white paper or report outlines. These specifics allow marketing teams to go, go, go when it’s time to execute the content. When your marketing team constantly assigns projects at the last minute, a few things happen. First, you risk losing top talent, or not getting the best work out of the talent you do have, because who wants to work that way? Second, there’s a good chance your contractors are going to levy rush fees because you’ve crunched their regular time frames. And third, because you’re under the gun, you’re not creating thoughtful creative briefs/assignment letters — and we all know what that means … You may not get what you envisioned, or it might not align with the big-picture strategy you’re trying to follow. And because it’s last-minute, there’s simply no time to reimagine a project. A content plan helps prevent the craziness of rush projects. Plus, when you’re planning months ahead, you have the opportunity to give thought to strategically repurposing content. And a long-term plan allows content producers to be more strategic about their work. So, for example, let’s say you have multiple videos planned for the year. When your videographer can see what’s on deck, she can capture B-roll for multiple videos at a time, or she can schedule interviews in a way that allows her to get everything she needs for various videos, saving time and money. Imagine a day fully devoted to writing. How productive — and unheard of. The reality is, a marketing professional’s day will never be singularly focused, which is part of what makes the job challenging and awesome. But if you can batch your creative work — that is, take several days in October to brainstorm and several days in November to thoughtfully plan the creative — the heavy lifting of your content plan can be done before the new year begins. And that means less stress and aggravation during periods of content creation. You’re Right. Not Everything Can Be Planned. Can you plan for everything? No, of course not. But I’d argue that reactive content in most industries makes up less than 10 percent of what’s produced in any given year. At Active Voice Communications, we work with a lot of healthcare organizations, and many align at least some of their content with national health observances, such as Diabetes Awareness Month, which is November every year. But Oct. 31 is too late to start brainstorming diabetes content. That’s a “just get something out there” plan. 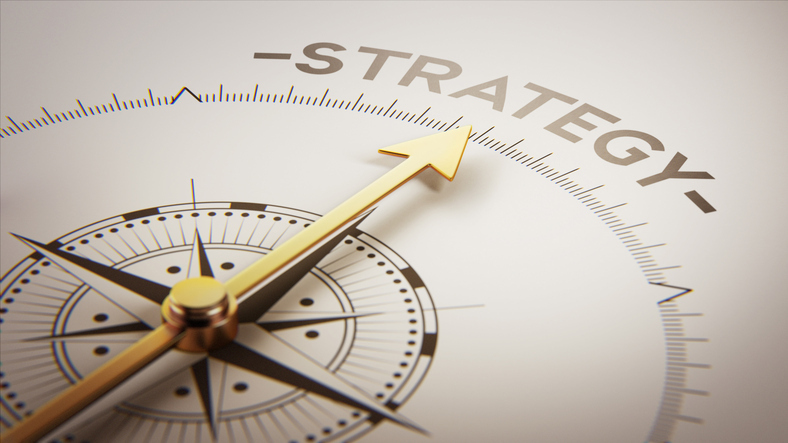 We should have a strategy and content plan to help us know what we’re producing that will be of interest to our audience and of benefit to our organization. And we should be done with content creation long before Oct. 31. It’s not just awareness months either. Organizations know far in advance which conferences they’ll be exhibiting or presenting at. They know where they might have subject matter experts keynoting big events. They know when they’re sponsoring health fairs or other events. They know which community or industry partnerships they need to support during the year. So, my point here is this: Yes, things will come up. Legislation might be passed. An amazing patient or customer story might present itself. Your company could be part of a merger or acquisition. A groundbreaking invention or discovery might come to light that rocks the industry. And when these things happen, you should, by all means, react to them and adapt your content plan. But the crux of it must still move forward, regardless of these types of events. And knowing that, we should be focused on planning out our content as much as possible. A content plan is an essential bridge between a marketing plan and the creative execution, and it can be a key document that saves your team time, stress and money. If you don’t have one in place, let’s talk about how we can help you for 2019.